The program gives parents an iPad with patient-specific measurements and variables for them to gather at home. After a child with a complex condition has been hospitalized and continuously monitored by high-tech devices, it can be a rude awakening for parents when they are sent home with a binder and a pencil to record progress, according to Dr. Jeff Vergales, a pediatric cardiologist at UVA Children’s Hospital. The University of Virginia is aiming to tackle this problem with a program called Building HOPE, which uses iPads to enhance follow-up care and communications. The program, which was developed in partnership with Locus Health, was first developed for congenital heart patients, but has quickly expanded. Most recently the hospital has rolled out in the neonatal intensive care unit (NICU). Vergales said this area of care was an untapped potential. But instead of just implementing the same system for every care speciality, Vergales said it was important to design the program for the stakeholders involved. So they talked to clinicians and families about the program before launching. So far 35 NICU patients have successfully used the system. Vergales stressed that all the patients in the program were safe to go home. “We were able to send them home safely, we were able to get them on feeding schedules that were normal, we were able to get the parents to really become engaged with them and, more importantly, we were able to do this when they were at home,” Vergales said. 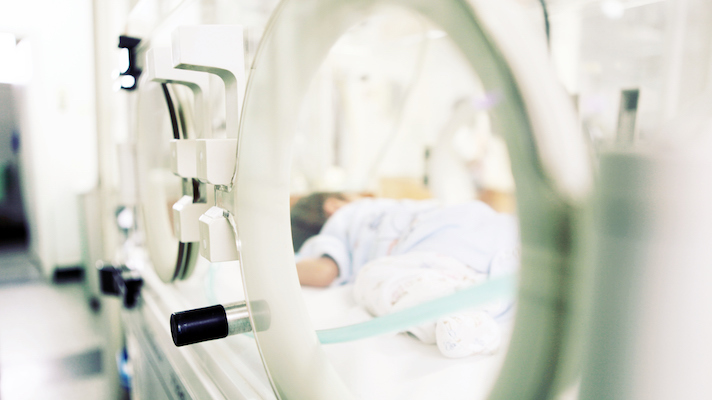 Infant mortality in the US has been a hot topic in healthcare news, as it outpaces as it outpaced other affluent countries including Canada, Germany and Japan with a rate of 5.9 deaths per 1,000 births in 2016. The crisis is particularly impactful for the black community. In 2016, black infants died at a rate of 11.4 per 1,000 births, as compared to white babies that died at a rate of 4.9 per 1,000 births, according to the CDC. Many have turned to technologies such as this to address infant health. As for the Building HOPE project, Vergales said parents have been receptive to the technology. He said that the technology has helped parents with adherence and engagement. Using technology to address gaps in infant care has been a topic of discussion in the innovation space. Last year HIMSS teamed up with OurCommunityHealth.com to create the the Infant Mortality Developer Challenge, which was focused on creating technologies to address infant mortality, specifically in the black community.